There’s those shades again, with a transitional half-shuttered version, this time spotted on a table at the Eastern Market flea market on Capitol Hill. Amee tells me they’re a Kanye West thing, from his “Stronger” video. 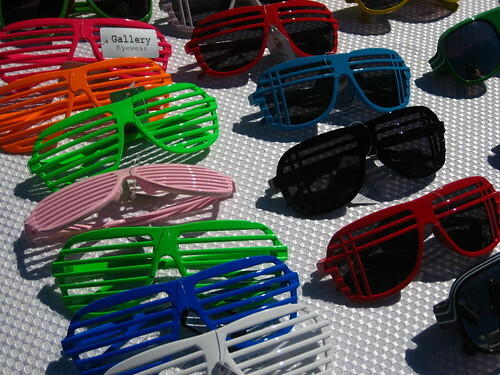 Yesterday at Gallery Place we saw a girl wearing these shutter shades and a shirt with a picture of the same shades on them. Seriously. They remind me of the “X-ray glasses” that used to be advertised in Archie comics when we were kids.